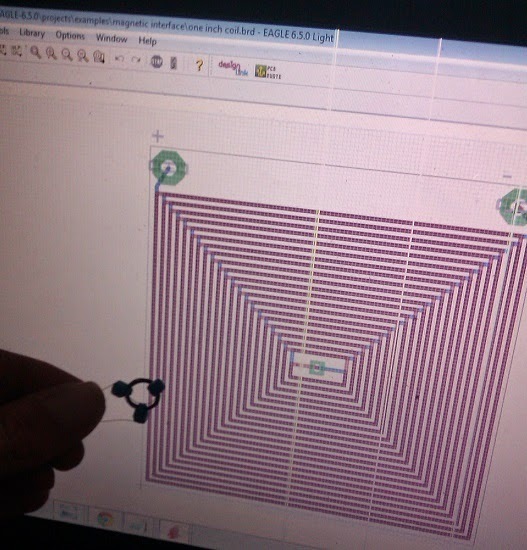 I'd designed the PCB for just the coil part of the electromagnetic interface some time ago (see here). I thought I'd have a go at a 1 inch square test PCB. Keeping the layout simple, a square coil it was, and with the connection pads my trace design came out a little oblong, but the concept would be provable. It's got trace all the way to the centre so that I can experimentally determine the amount of unwanted turns at the axis. Getting a PCB made, from the Eagle CAD file I'd created, went on the back-burner. This delay was caused by my acquisition of an Arduino and its subsequent learning curve. I need the Arduino in order to control and obtain data from various aspects of SWAN development, a tool rather than part of the project. Unfortunately I've been completely sidetracked by the Arduino, my spare time having been spent using it for martial arts data gathering experimentation (a project which followed the completely useless "electronic candle," see here. Still, you have to make stuff to learn). The crunch came when I was about to buy some hardware for the new project. Realising SWAN was about to languish for a while (yet again! ), I shelved punch monitoring. But I'd gained a modicum of Arduino experience. Remember, this double-sided board is only an inch square. The track width is a minuscule 10 mil (0.25mm, Marek usually works to a minimum 0.6mm). 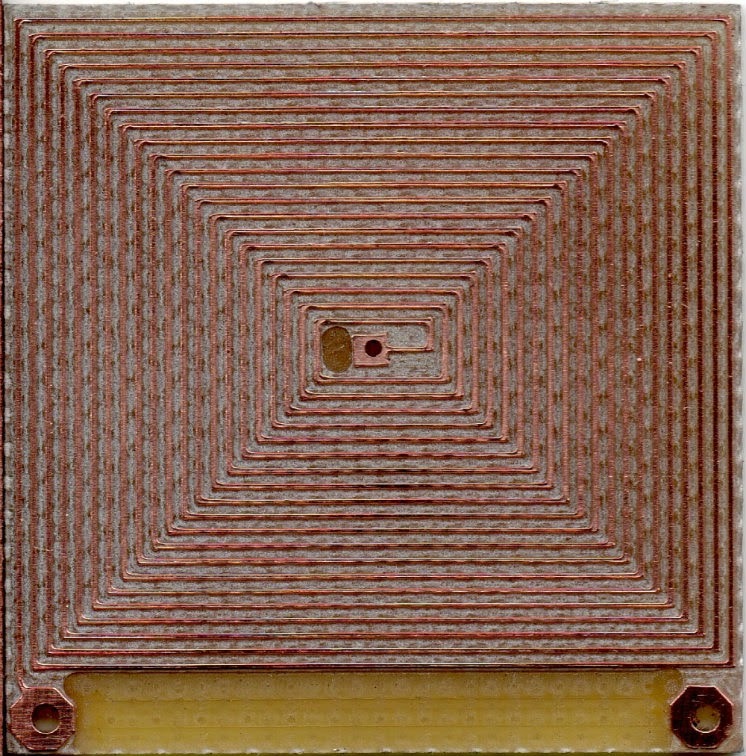 The job was very precise, and I'd heartily recommend Marek's PCB milling services. I've done some quick testing of the PCB. By probing at various points on the coil at 40mA, I determined that the board could actually be single sided, and that the amount of unwanted turns in the middle was rather more than I had expected... In short, it works. Next I'll hook up the Arduino, and do some proper testing. With the results, the next coil PCB design can be created using Eagle, this time with an "proper" octagonal or spiral coil layout, and additional circuitry. I'll certainly be using Marek's PCB milling service to make the prototype. "PCB Printed Circuit Board Prototype Production/Milling/Manufacture/Manufacturing"